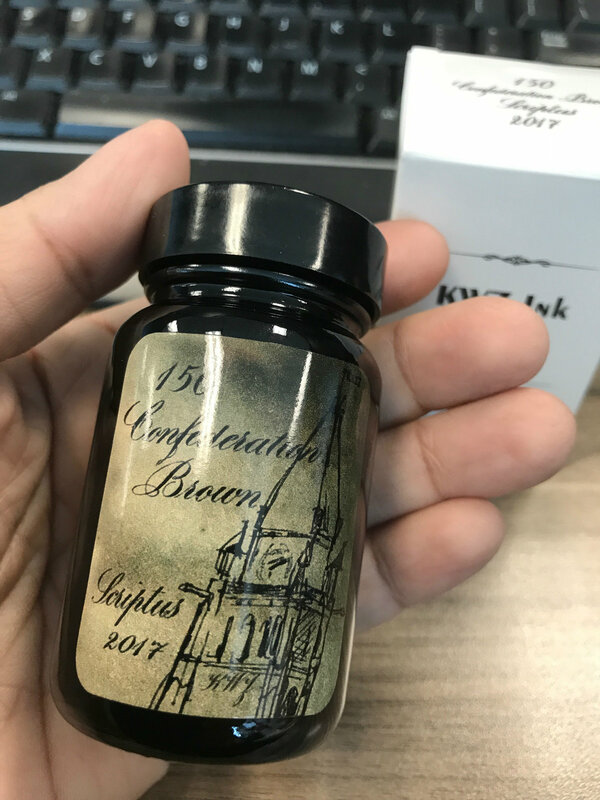 Scriptus Ink 2017 – Picture Review!! 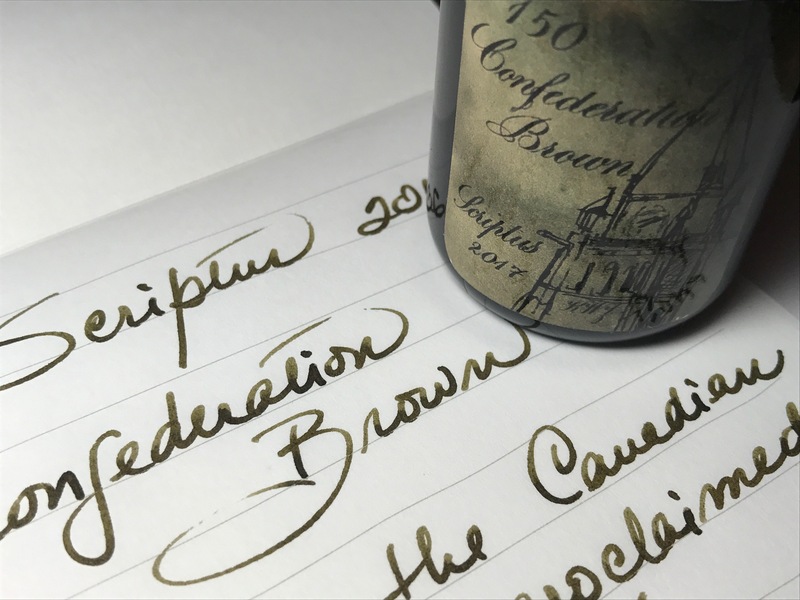 For anyone who doesn’t know what Scriptus is.. Scriptus is the name of the Toronto’s Pen Show and Writing Show. 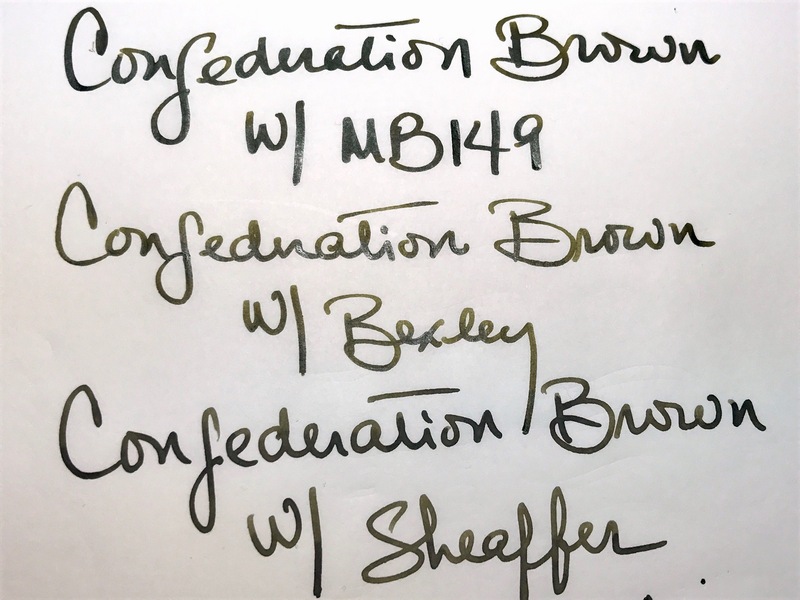 Every year (since 2015) Scriptus has release a Show ink which becomes one of the highlights of the Show. The Scriptus show ink is done in collaboration with KWZ. Since I am totally biased… I will just let the pictures do the talking. LABEL: Sketch of the "Peace Tower", a Canadian Landmark. Is the focal clock Tower standing at the centre of the Canadian Parliament Building. 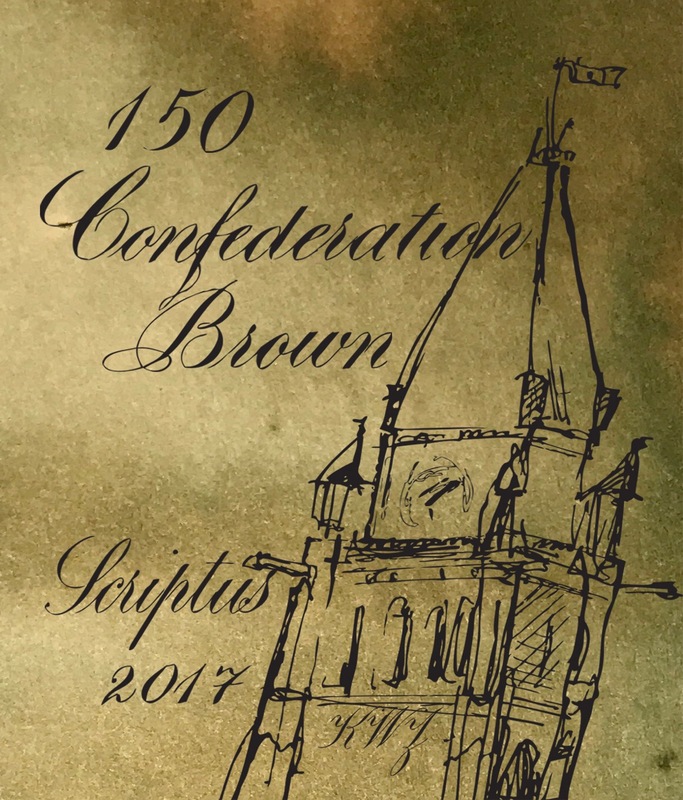 150 Confederation Brown, is an olive-brown that is extremely paper dependent. It seems to react to the different chemistry of every paper. On coated paper it looks more green, on more absorbent paper, more brown. On cardstock it shows almost black brown. 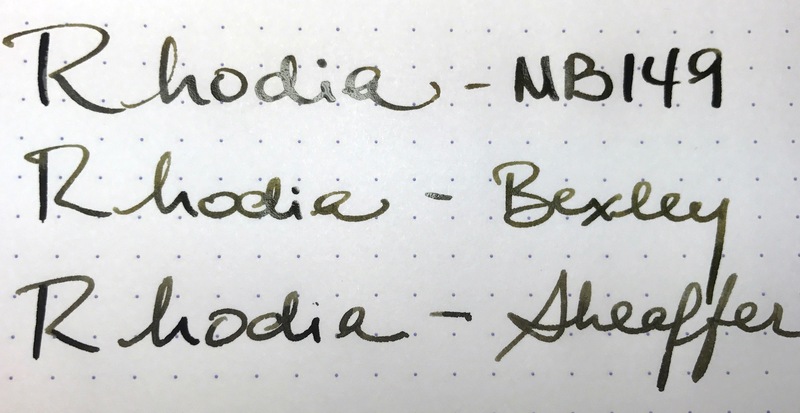 Tester Pens: Three of my favorites EDC were used. 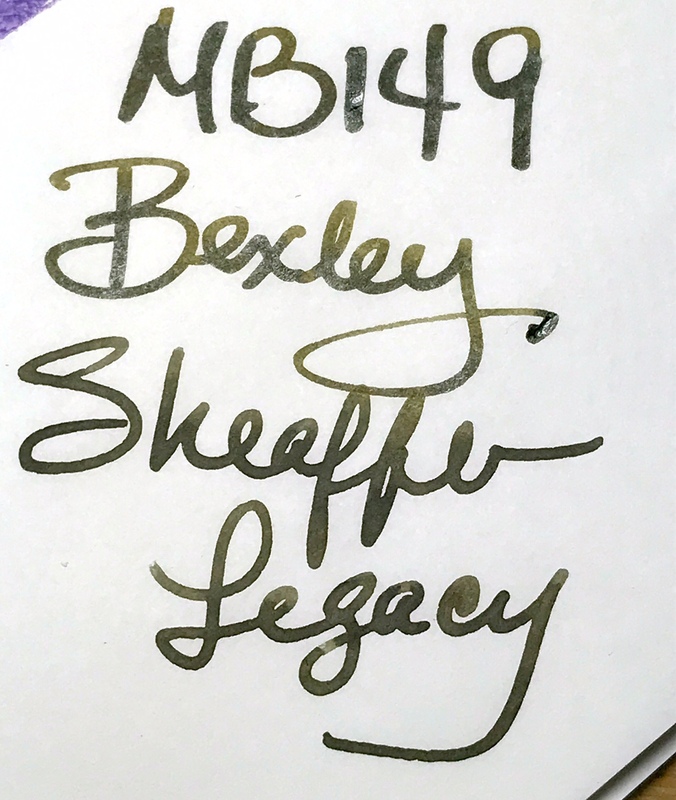 In order (top to bottom), My extremely wet Sheaffer Legacy II with a stubbish Broad, my equally wet MB 149 with a luscious OBB and a lovely mid-wet Bexley (cant remember model). Ink was taken from the same bottle. As with previous years (Maple Red 2015 and Northern Twilight 2016) the creative process is heavily manipulated by me. The decision is all Scriptus, if the Scriptus lords want me to start from scratch, I will oblige. 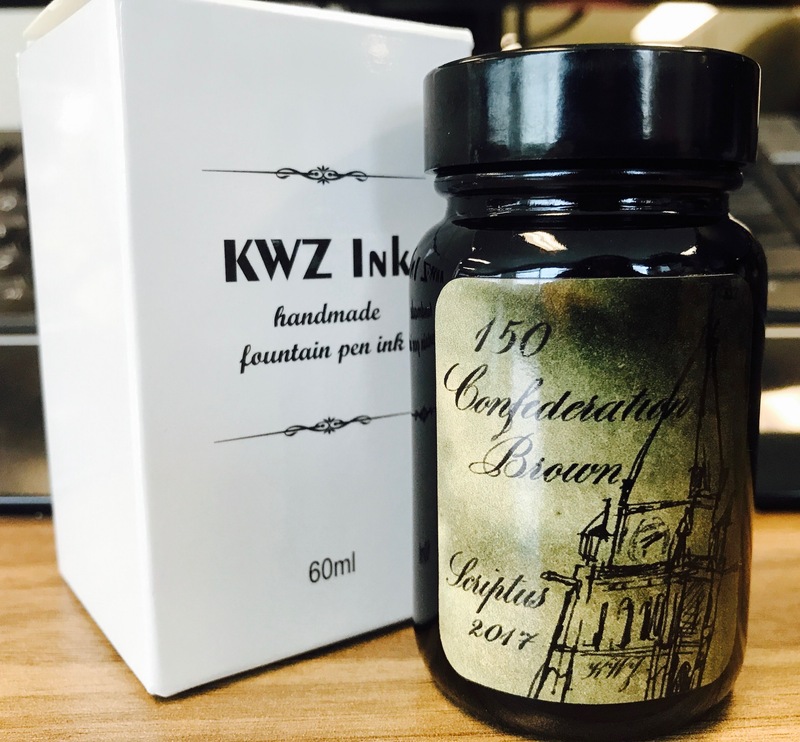 The artistry in manufacturing is all KWZ, so you know you will get a great performing ink with lush colour and saturation. The creative label is original artwork from Alannah (instagram @iamjoopiter) and this year we had the honour to get Salman Khattak (our own FPN Calligraphy expert, goes by SMK) to do the fabulous writing. Edited by Cyber6, 26 September 2017 - 06:00. 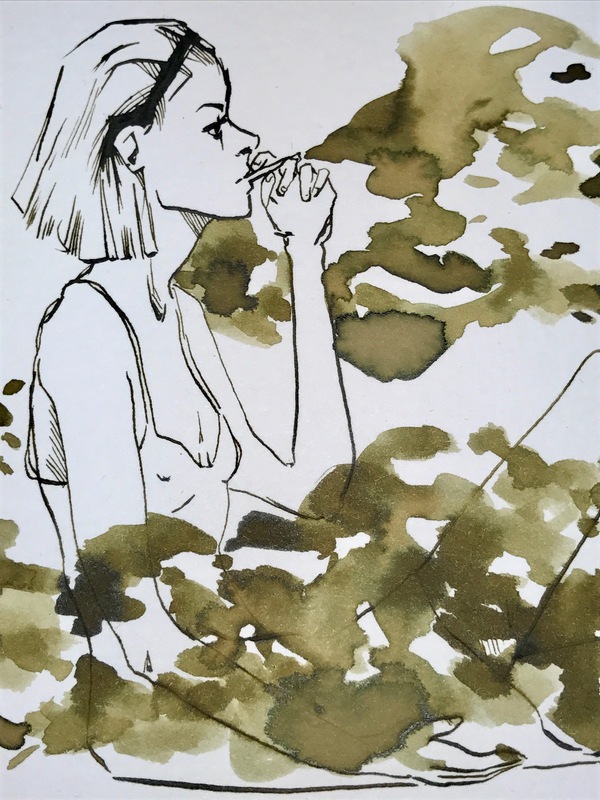 Is it a young Cruella de Vil, a couple of weeks after the terrible split with her boyfriend who treated her appallingly and triggered the rage within her . . . ? Thank you, Claudia, for this great review. 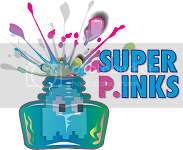 My kind of ink, absolutely!!!! The art work. A very talented artist! 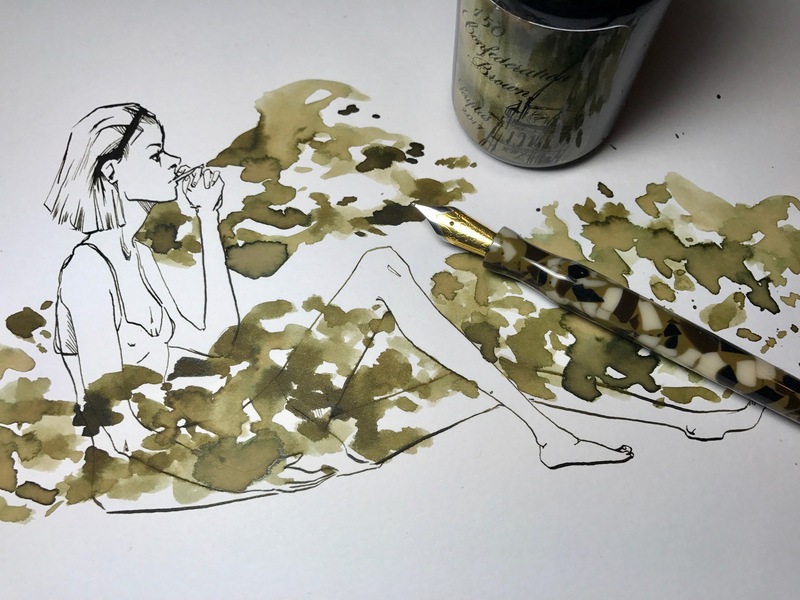 Could you, please, tell me what is the pen next to the drawing? Thank you in advance. No ... no... Alannah was watching The Royal Tenenbaums when sketching ... that's Gwyneth Paltrow.. 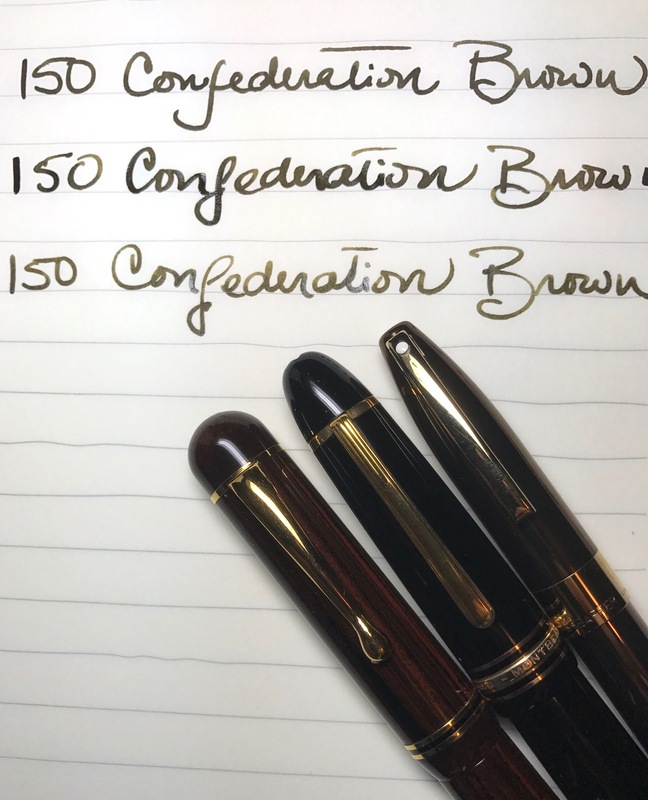 The Pen is the Serendipity Hybrid Pen. Is technically a dip pen holder with a HUGE ebonite feed and a number 6 nib. 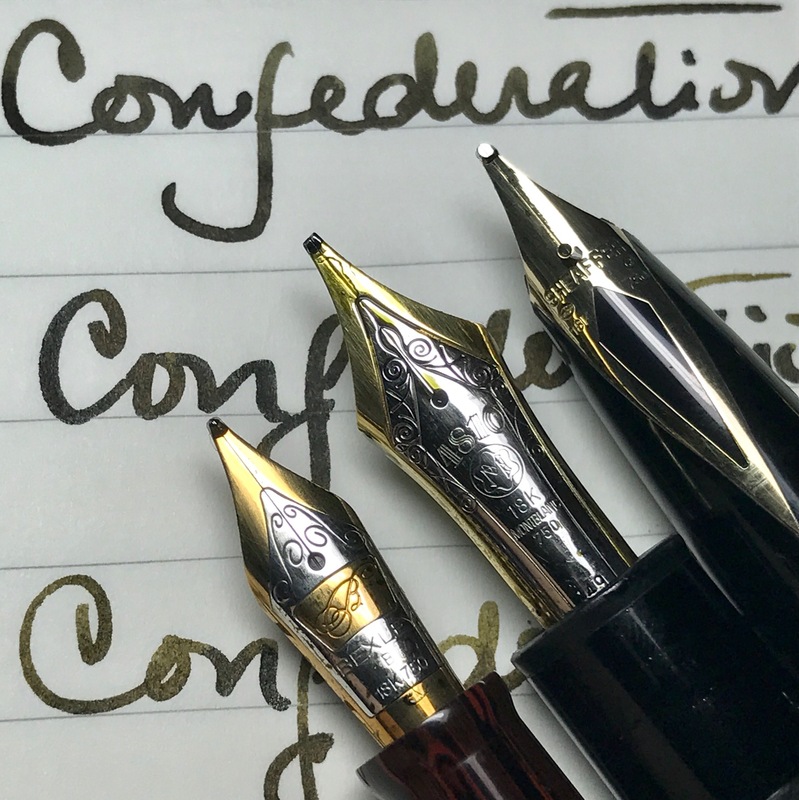 You can write/sketch pages before having to re-dip. Thank you, Claudia. Beautiful material!!! I need to find me a Canadian! 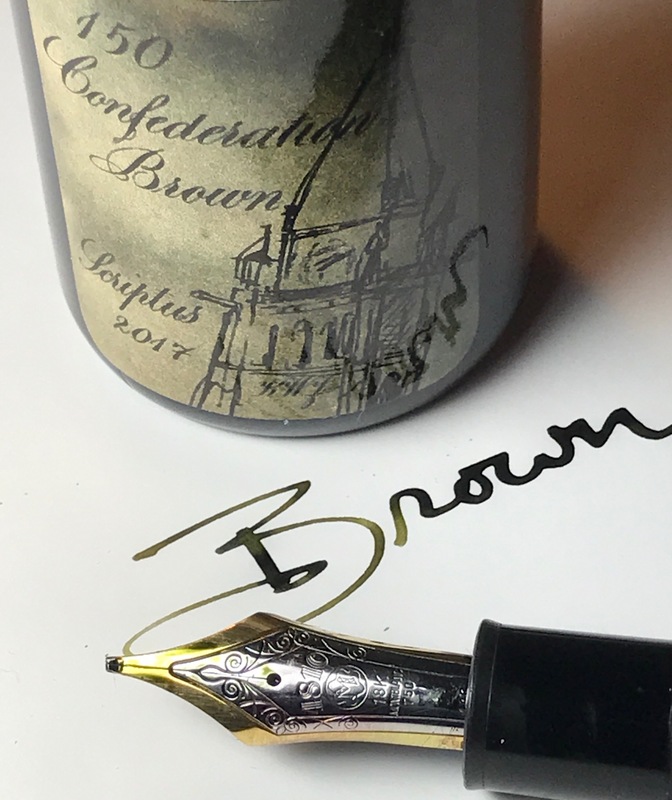 I love brown inks and this one is exceptional! 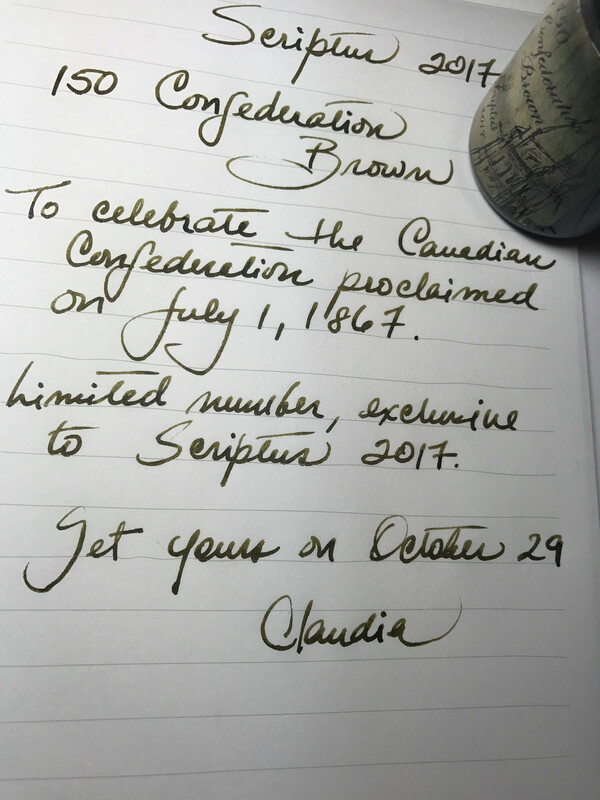 Any chance/way for non-Canadians and non-attendees to get this ink? Ooooooooh--how much is this drawing being sold for? Assuming it's like last year — no chance in Hell. Unless you want to travel to Toronto for the show, get there when it opens, and buy a bottle before it sells out in the first 40 minutes. Cyber6 really has a way of making us all want an ink that we probably won't be able to get. Oh, well, that's life. Assuming it's like last year no chance in Hell. Unless you want to travel to Toronto for the show, get there when it opens, and buy a bottle before it sells out in the first 40 minutes. Wow! 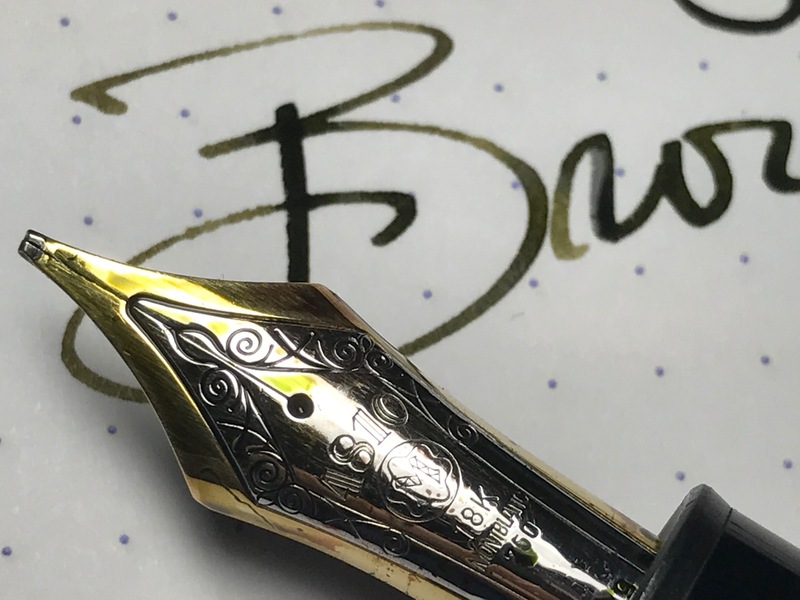 That's a lovely ink! Have a wonderful show, Toronto!